Orlando Pirates will shift their focus to their CAF Champions League fixture against Esperance that is set to take place on Saturday, February 2. The Buccaneers are on level points with their opponents in Group B and will be hoping to open the gap, however, Esperance are defending champions and are no walkovers. 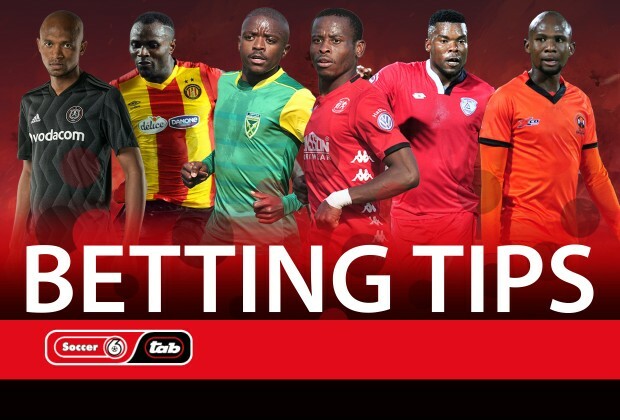 Former Platinum Stars central midfielder, David Makgale got in on the action and gave his predictions on the following matches. Useful facts: Orlando Pirates, who are tied on four points with Esperance, lead the group on goal difference and will open up a gap with a win over the Tunisian outfit. This game takes on more significance for the Buccaneers after they dropped points against what many consider the whipping boys of the group, Platinum FC of Zimbabwe, and the comfortable win over Horoya in their last group stage game will have given them the much-needed confidence. It does remain to be seen how the cup loss to Black Leopards over the weekend will have affected them. However, Esperance are a formidable opposition and you do not have to look further than the fact that they are the defending champions. Typical of a North African side, they will want to frustrate the home side by depriving them of the ball and inviting them to come out of their half to play, before looking to capitalise on the gaps left behind. A point will work more in favour of Esperance, with the intention to make life more difficult for Pirates when they visit Tunisia later on. When Bucs reached the final of this competition in 2013, they beat Esperance on the goal rule, after a 1-1 aggregate score. Useful facts: A win for either side will not yet see them entering the Top Eight but will be a gigantic step closer to that goal and so this promises to be a hard-fought encounter. Golden Arrows are on a high from a 3-0 cup win over minnows Tjakastad JS and they will be hoping that the goals will continue flowing like the waters of the River Nile come Saturday. Having progressed to the next stage of the cup competition courtesy of a penalty shootout win over AmaZulu, Highlands Park will be keen to get back to winning ways in the league, where they lost to Mamelodi Sundowns in the last game. They will look to none other than in-form Lindokuhle for inspiration. Useful facts: It never rains but pours for Free State Stars’ new man in charge, Nikola Kavazović, whose team suffered the ignominy of being booted out of the cup competition by an unfancied lower division team in Richards Bay FC, in a game in which their display was lethargic, to say the least. Naturally, a loss to Polokwane City in the league, where they are sitting in dangerous territory, will set the alarm bells off and that is the last thing the Serbian wants. Ea Lla Koto will have to conjure up a much-improved performance if they are to get the better of Jozef Vukusic’s men, who have been one of the surprise packages this season. A win for Rise and Shine could land them in fourth place and that could be enough motivation for them going into this encounter. Such is Stars’ predicament, though, that a victory will, at best, only see them moving up one place and still very much in danger of dropping down.